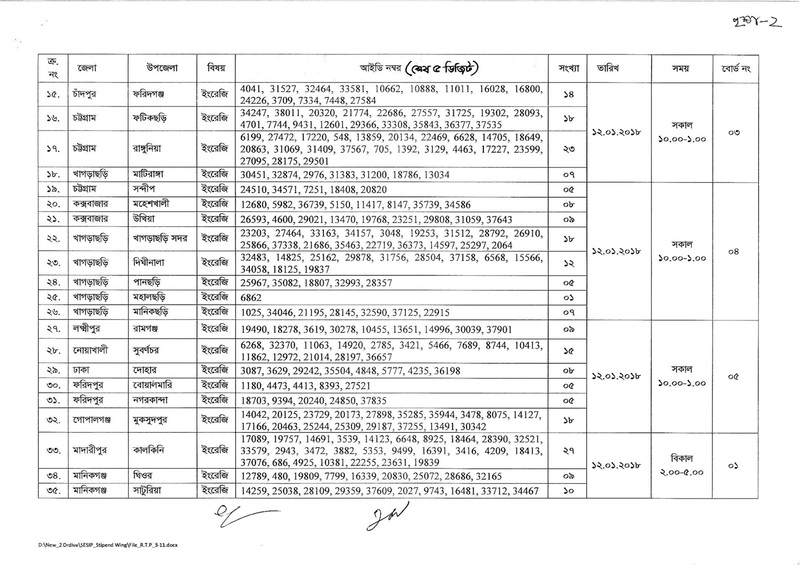 a.Four year honors degree/Masters degree from any Govt. 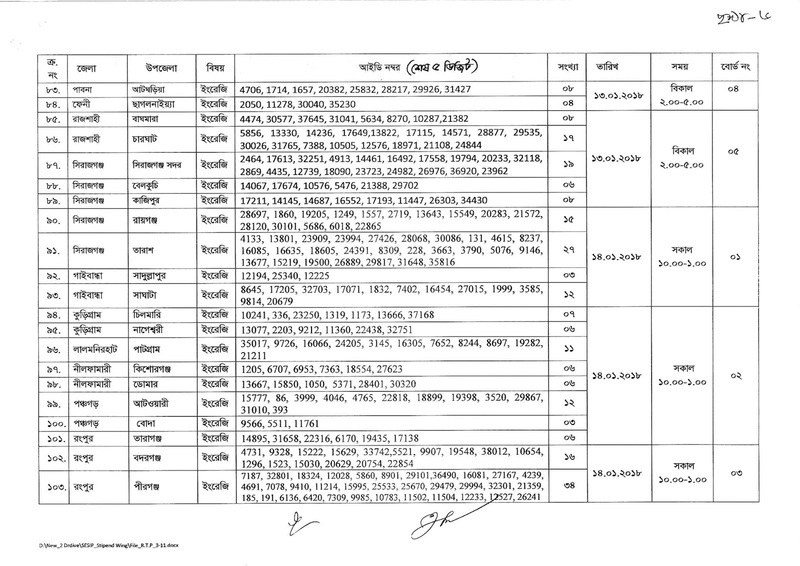 approved university in Science/Mathematics/English. b. Graduate (pass) must Science/Mathematics number 50% and English 45% Mark. 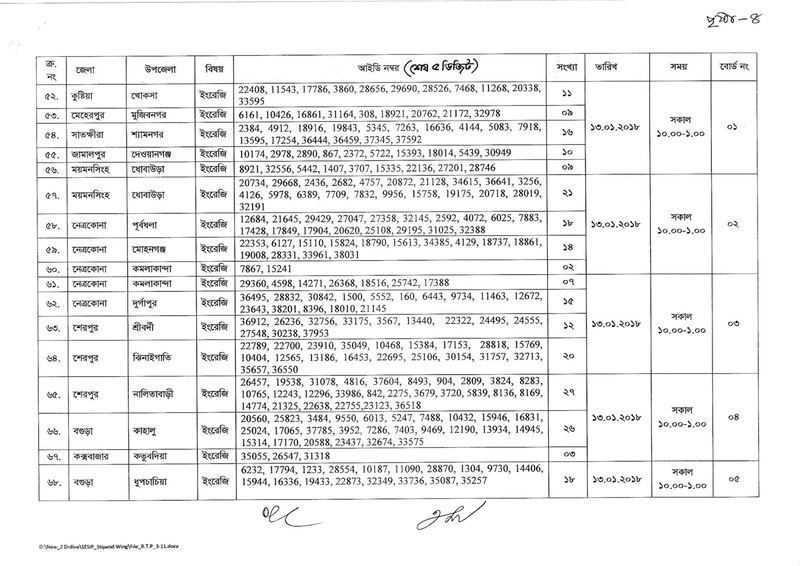 c. Applicants will be given preference if B.Ed. / Deep-In-Ed / M.Ed. a. 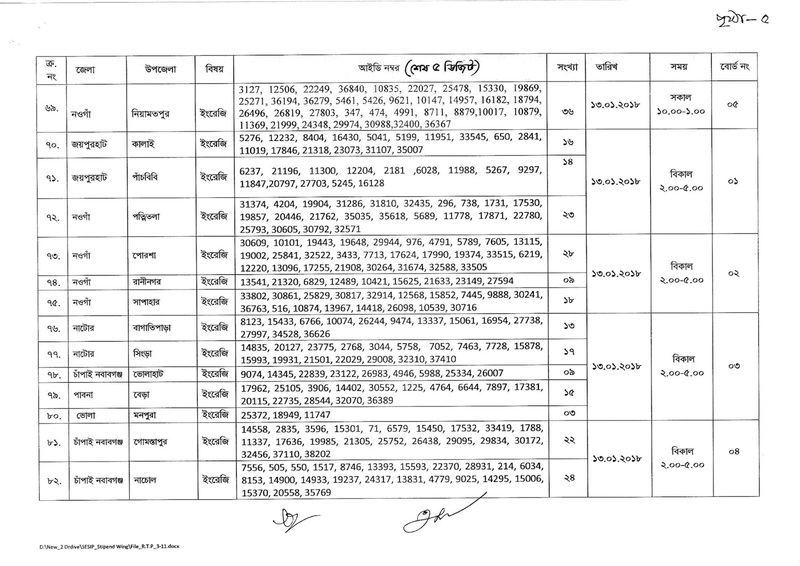 Please prepare a color Photograph (Dimension 300x300 pixel JPG format within 100KB), Signature (Dimension 300x80 pixel JPG format within 60KB) and your Graduate/Honors Marksheed scan and make PDF withing 1MB. 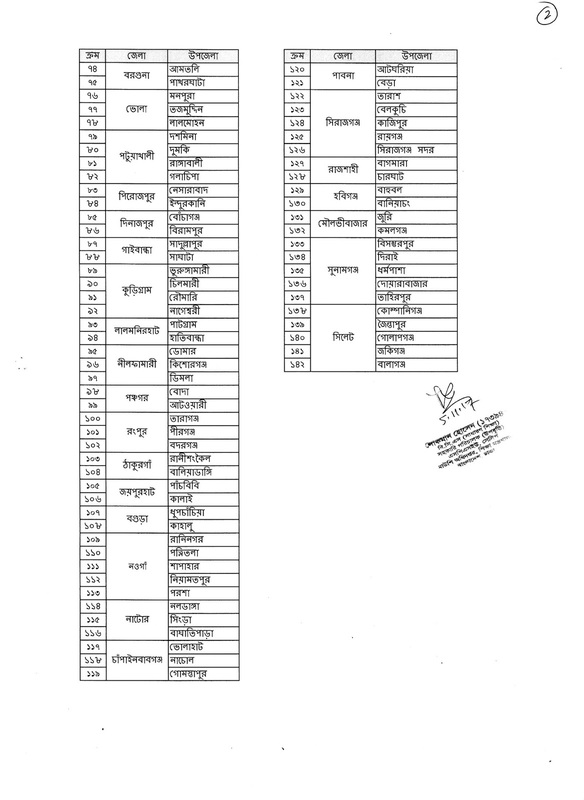 d. Select your subject, divisin, district and upazila. 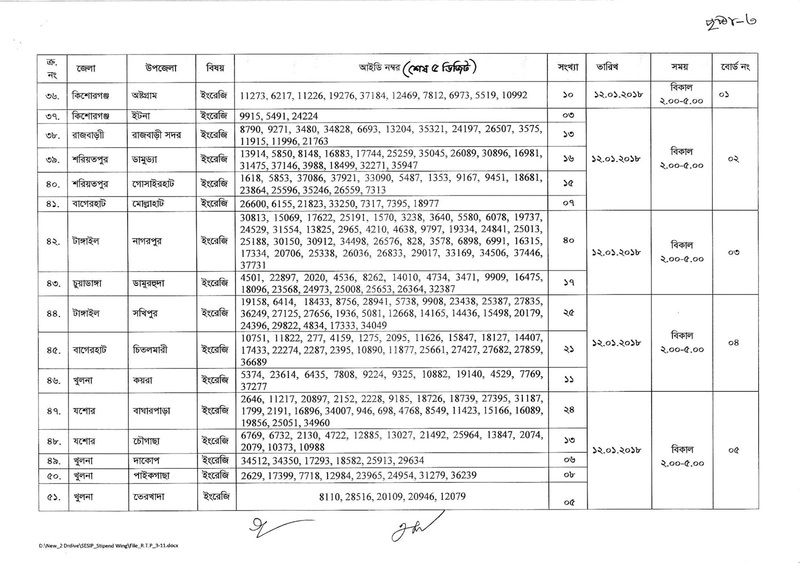 e. You Should fill up all information correcly(All information like SSC/Equivalent Certificate). 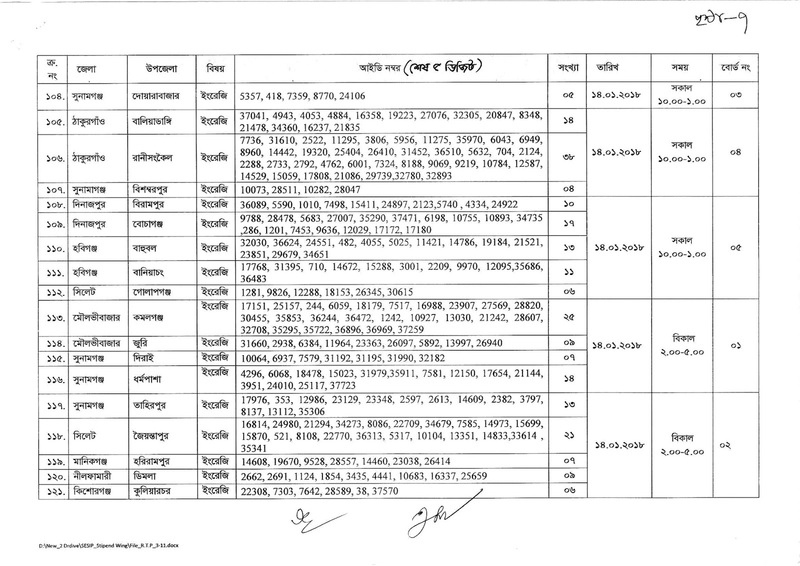 g. Click Next and Attachment your Mark Sheet. h. Tick mark at Declaration. k. Download your copy and print your Application Copy for future reference. h. After application complete found a confirmation SMS candidate Mobile. 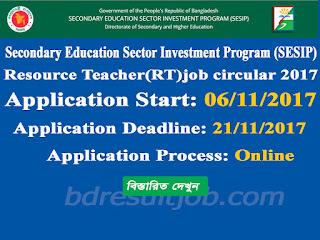 Secondary Education Sector Investment Program (SESIP) Resource Teacher (RT)) authority inform Mobile SMS diclaration will be published Admit Card at http://www.dshe.xyz/. 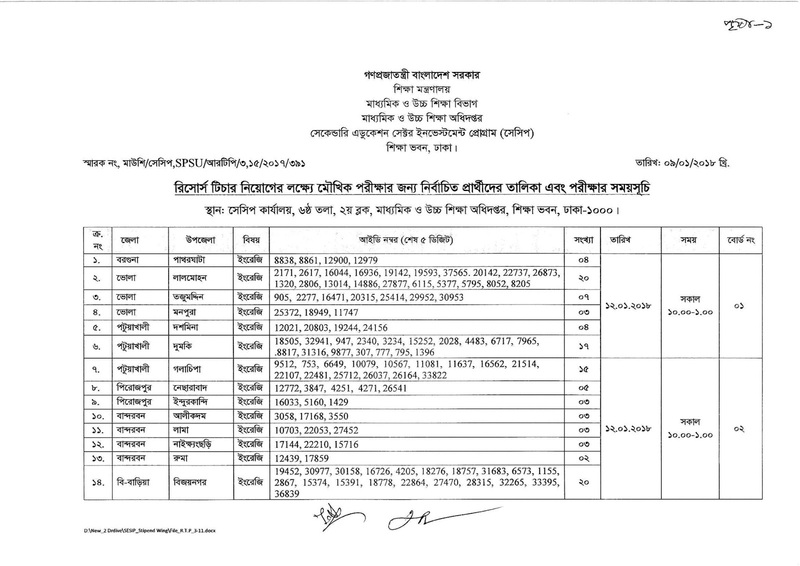 Secondary Education Sector Investment Program (SESIP) Resource Teacher (RT) authority inform Mobile SMS diclaration will be published Seat Plan and Exam Center at http://sesip.gov.bd/notice/. 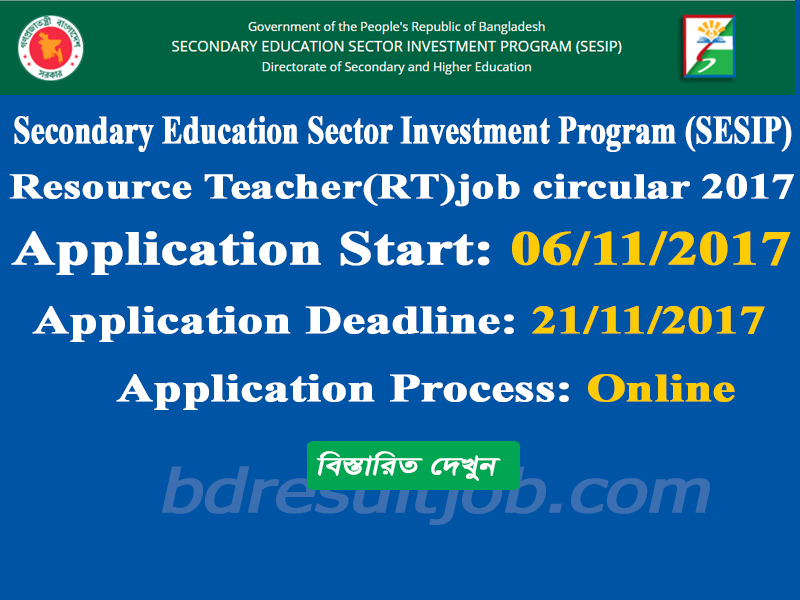 Secondary Education Sector Investment Program (SESIP) Resource Teacher (RT) authority will be published at thier Official webiste notice board http://sesip.gov.bd/notice/ or http://www.shed.gov.bd/site/view/notices. 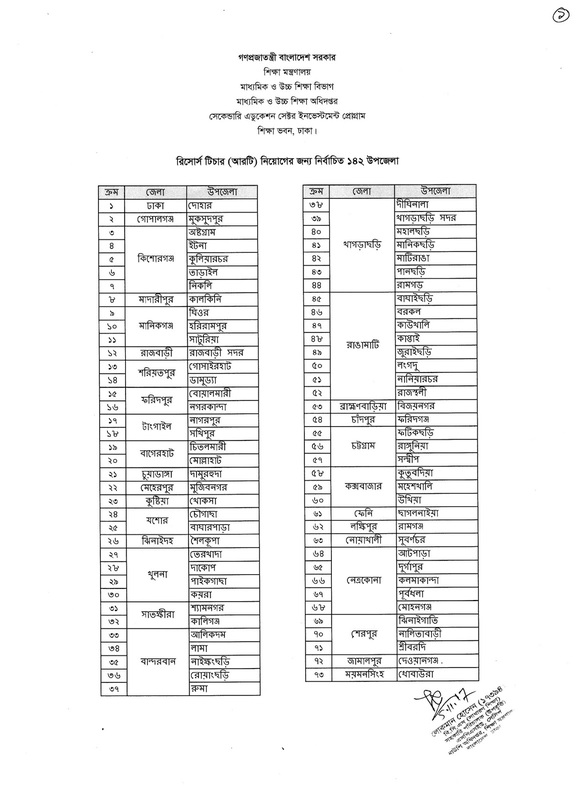 Any update Please visit here www.sesip.gov.bd. 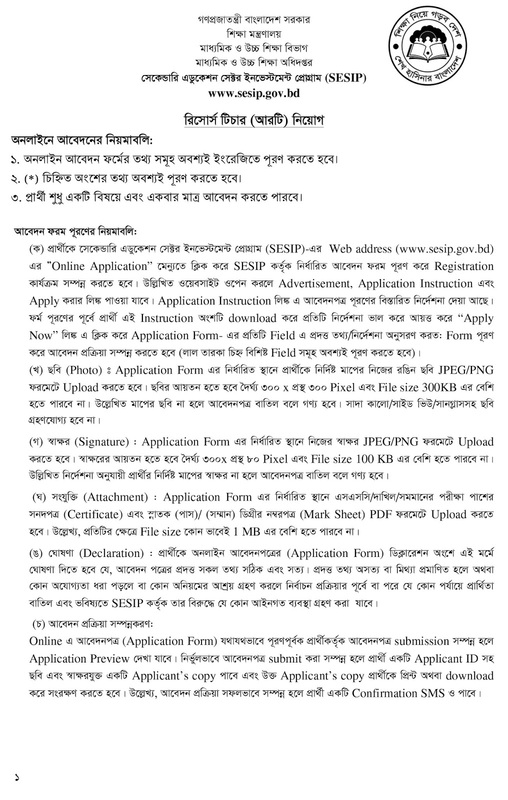 Tags: www.sesip.gov.bd, sesip gov bd, www.dshe.xyz, www dshe xyz, www.shed.gov.bd, www shed gov bd, Directorate of Secondary and Higher Education under Secondary Education Sector Investment Program (SESIP) Resource Teacher(RT) job Circular 2017, BDirectorate of Secondary and Higher Education under Secondary Education Sector Investment Program (SESIP) Resource Teacher(RT) job eacam date 2017,Directorate of Secondary and Higher Education under Secondary Education Sector Investment Program (SESIP) Resource Teacher(RT) job exam result, Directorate of Secondary and Higher Education under Secondary Education Sector Investment Program (SESIP) Resource Teacher(RT) job Admit Card 2017. www sesip gov bd.